There have been some truly epic rap battles over the years but the one below might just take golden microphone. 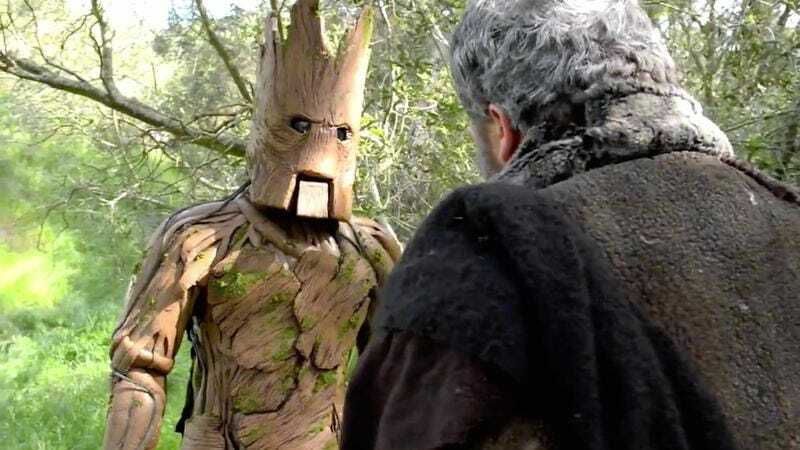 Turns out the galaxy’s most charismatic single-sentence speaking tree creature has beef with the most loyal duo-syllabic foot servant in all of Westeros and they’re out to squash it. In this video from The Warp Zone the two loveable giants go at it the only way they know how; spitting their own names repetitively in each other’s faces until the other cries uncle. There might be some true atom bombs amongst the indecipherable, unceasing name-dropping, but you’d never really know. If this savage battle doesn’t cool off their inexplicable heat however, then the next round would almost certainly have be a dance-off. Your move, Hodor.